The great Canadian lifter, Doug Hepburn is shown here in what probably could be called his signature pose. If the issues of Strength and Health on the wall are current, this picture dates to early 1947. — Although I suspect this was taken later than that. Don’t know if you realized this but growing up, Doug was of very average height and build. At 17 years old, Doug was 5’8″ and weighed only 145 pounds. 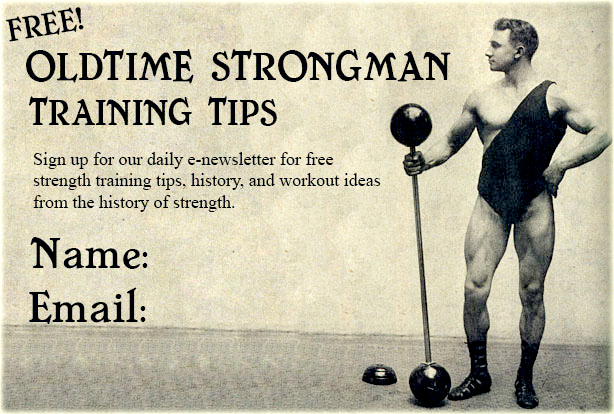 It was around that age that he discovered weight lifting… and the rest is history. 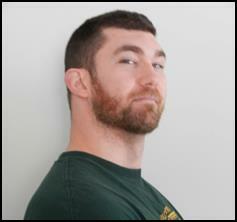 To give you an idea of Doug’s immense power, his best 2-arm overhead barbell press was 335 pounds for 10 reps! At look at the cover of the January, 1947 issue of Body Moderne Magazine featuring Jack LaLanne while Bernice Buchanan looks on. Body Moderne was a pretty unique magazine put out by excellent bodybuilder and muscle control star Walt Baptiste and his wife Magana. Body Moderne only ran for eight issues but was ahead of its time and quite different than the usual muscle mag fare of the day. The man who would become known as “The Master Blaster,” Joe Weider himself graced the cover of the November, 1947 issue of Your Physique magazine. Lookin’ good Joe! The great Clancy Ross graces the cover of the July, 1947 issue of Strength and Health (Ross was the S&H photo contest winner that month). A short time later, Ross would go on to beat Steve Reeves in the 1948 Mr. USA contest. 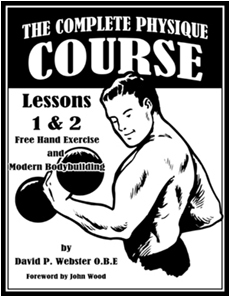 Also found in this issue: “Secrets of Strength (part III) by Bob Hoffman, “The Super-Duper Body Building Program by Gord Venables, “Barbelles” by Pudgy Stockton, “If you Want Big Muscles and Greater Strength,” also by Hoffman, and a feature on the Screwball Gym, by Harv Easton. Shown here is the cover of the September, 1944 issue of Strength and Health Magazine, featuring Steve Stanko. He had won both the 1944 AAU Mr. America and Junior. Mr. America titles only a few months before. This was not the first time Stanko graced the cover of Strength and Health, nor was it the last. 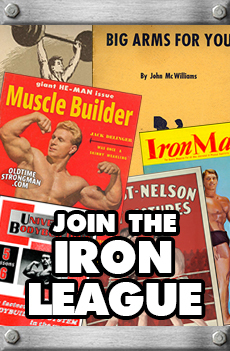 Just a few years earlier, in 1941, Stanko became the first man to officially break the 1000-pound total in the three Olympic lifts (which, very surprisingly, did not even get him a cover shot or a mention) …and just a few years later, in 1947, Stanko would go on to become the very first Mr. Universe winner.